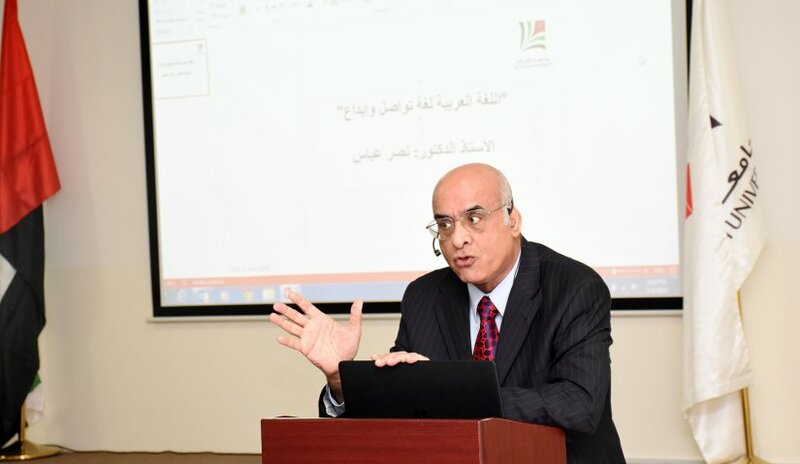 Our distinguished faculty member of College of Mass Communication Prof. Nasr Abbas delivered an informative lecture on Wednesday, May 4, 2016 on "The Arab Language of Communication and Creativity". Prof. Abbas explained various aspects of the creation of the Arabic language and showed how it became a means of great influence. He highlighted the status of the Arabic language and its importance as how it opens channels to positive impact. This was followed by mentioning many of the linguistic models orally and in writing that researchers and students have worked on and stressed the need to take them in everyday language use. 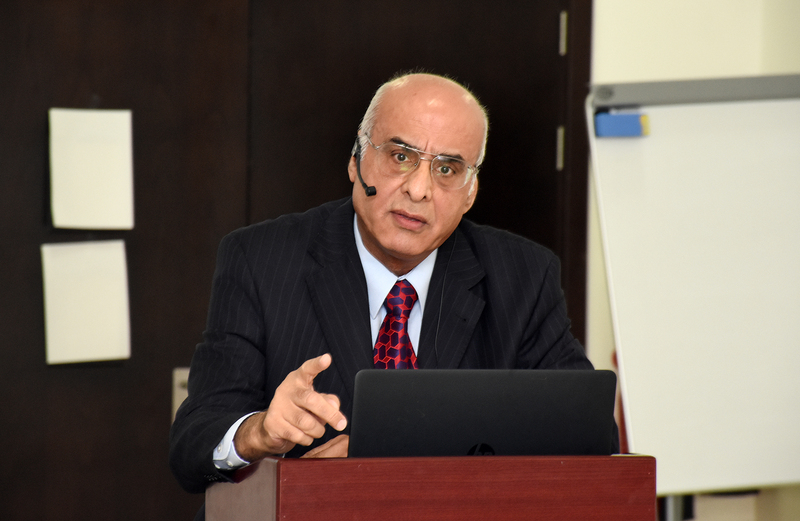 At the end of the lecture Prof. Nasr Abbas recited two poems that served a dual purpose of entertaining the audiences and enriching their wealth of knowledge.